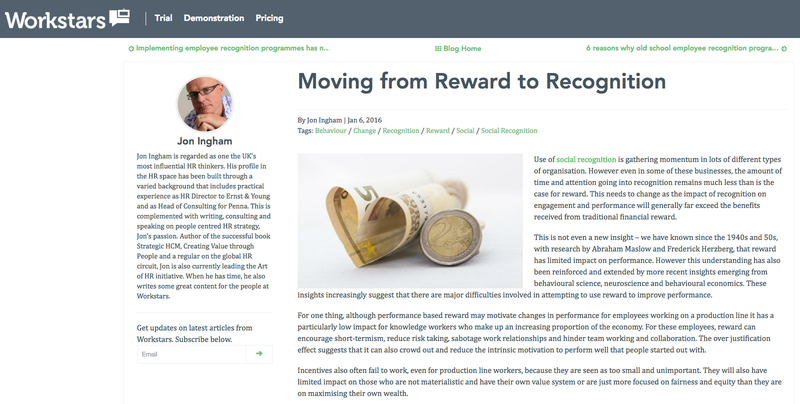 I've posted here previously on the need to shift our focus from reward to recognition. There are some ideas on doing this in this post on Workstars's blog. John Boudreau has posted recently on the use of digital platforms (see my recent post) to transform employment and other types of work. 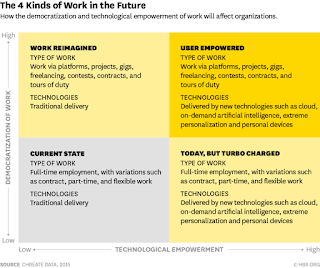 It's an interesting read though I'm not sure whether there are really four quadrants as in the model above - I think the transformation of work and the use of technology to transform it will pretty much go hand-in-hand. Boudreau suggests that an increasing proportion of work will be undertaken through the use of freelance platforms along the lines of UpWork, Tongal, and Gigwalk (or any of these) helping to match talent with opportunites for work and organisations to gain access to talent often as part of the sharing / gig economy. Further compelling evidence was provided in McKinsey's report on online talent platforms last year. They noted that 30-50% of the working age population in inactive, unemployed or working part-time yet large shares of employers say that they can't fill positions. McKinsey therefore suggest that 540 million individuals around the world could benefit from these systems. I think that to a smaller extent at least, that's probably going to be the case, however I'm still not convinced it's a particularly attractive future. In a post last year Boudreau suggested that "many examples show that the very best software coders, biochemistry puzzle solvers, media producers, and product designers are often available only as free agents on a platform like Topcoder or Tongal, and free agent workers often value periodic stints of work in jobs such as drivers, so that they can pursue passions such as music and art." As a free agent for the last ten years I can understand some of that. However I work for my clients and find work through my contacts, not for or through a digital platform and quite frankly, I don't want to do that. Platforms do enable people to differentiate based on skills, performance (star ratings etc), location etc but the main determinant is cost. They're commodity based marketplaces which tend to drive costs down and isn't an area I want to play in. This is partly because I want to be fairly compensated for my work, but it's also because I want to be involved in co-designing the scope for my work - coming up with something that neither I nor my client could have come up with without each other. And you can't (yet) do that on an app. The best software coders may value being on Topcoder but IT's a much more transactional and tangible type of profession than HR (that's not to knock it, but it is - you can tell whether a coder has done a good job in writing a programe based on how it works. That's not always so easy with a talent management programme.) That's why there's a Topcoder but no Toptalentcoach. Plus of course any profession or job which can be defined and broken down to be managed through a platform is also going to be one of those which can most easily then be replaced by technology (Uber drivers by driverless cars etc). Again, that's not a space I want to operate in. That's the problem with talent platforms as I see it - they're not actually about talent at all, they're about volume roles, value for money rather than added or created value. There are platforms which can help employees and other individuals providing work to create value, and I'm sure their number will continue to grow, but I think these are more along the lines of Linkedin and Glassdoor than they are similar to UpWork etc. Of course I could be wrong. I'm reminded in the week that Twitter turned 10 that my first reaction to this (9 years ago) was that I couldn't ever see myself using it. Times change (they did - I was tweeting one year later, even if I didn't know how to spell it properly), but I'll take bets on never bidding for work on a Uber style digital talent platform. 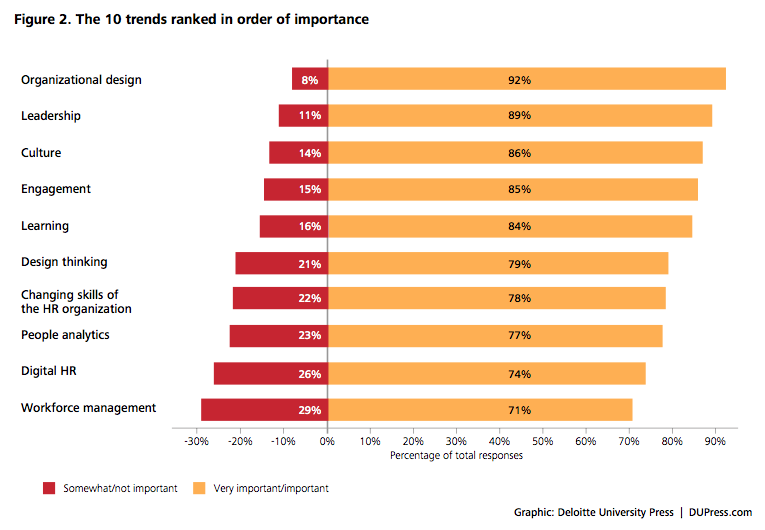 Digital HR has been coming up at HR Tech World again, largely as a result of Josh Bersin's presentation there and the focus on this in Deloitte's Human Capital Trends report. So what is digital HR? Well I've been posting on this since 2008 and speaking about it since 2011) and have been trying to develop my own understanding of this since then. I've previously suggested that it is primarily about technologies which help people be more productive, eg social, mobile, wearable and augmented (augmented / virtual reality plus augmented performance / augmented humans). Social recognition is a great example. It also includes a big focus on analytics, often through the use of embedded tools which can take the exhaust data produced once face-to-face processes are automated and digitised and produce insight from it. 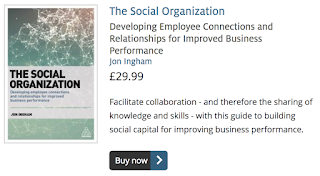 And because digital systems make it easier to collaborate it includes tools like social network analysis to measure and analyse the extent and quality of collaboration. Of course increasingly SNAs are being undertaken within or on the back of email systems and enterprise social networks too. Digital HR doesn't include information technologies like HR or talent management systems as these are about managing people rather than enabling them to manage themselves. And it doesn't include other exciting developments in technology like robots (especially humanoid robots / androids) and AI. However the other thing it definitely does include which I didn't refer to previous is apps, increasingly available for download from internal app stores, discussed best in Bersin@Deloitte's Predictions for 2016, rather than Deloitte's HC Trends report. "As one large company in India recently put it, this new world is focused on building HR “platforms”—infrastructure and technology standards that allow us to rapidly build new solutions, collect data about people and business processes easily, and quickly iterate and improve our employee digital experiences to make them perfect. Think about what happens in the App Store—apps are updated almost weekly. We need to follow this model. The best example I can give is the development of an exciting mobile application, Sidekick, by Commonwealth Bank of Australia. I learned about this app roughly 18 months ago and we recently wrote a case study on this platform. This app brings all employees’ HR, collaboration, administration, and support apps to their phones. 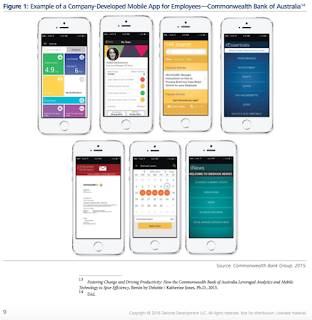 Within two weeks of rolling out the app, 20,000 employees had actively adopted it. I do not know of a cloud or web-based app which has ever been that successful." The future of HR technology is about apps rather than big e-HR systems. This shift is already well under way with the Big Three vendors SAP, Oracle and Workday and others appisising their existing HR systems. There's also an increasing number of start-ups producing independent point apps which support small specific bits of functionality more powerfully or creatively than big systems. I think some of these apps are amazing, however I agreed with the suggestion during HR tech World that employees will get weary of using many unco-ordinated applications. Better would be a single platform which provides apps and even more importantly the design of bespoke apps. That's exactly what Salesforce HR provides - core HR functionality (eg Work.com for social performance management), an HR app store and the ability to have an organisation's own 'citizen developers' (teams of HR, IT, managers and employees) using Salesforce's CRM platform capabilities to develop their own bespoke apps. I think this is a really useful change, particularly as it challenges the existing move, resulting from the move of systems into the cloud, away from the ability to customise systems to simply being able to configure them. That provides certain benefits but it limits the ability to design best fit approaches which I think needs to be part of the digital age. 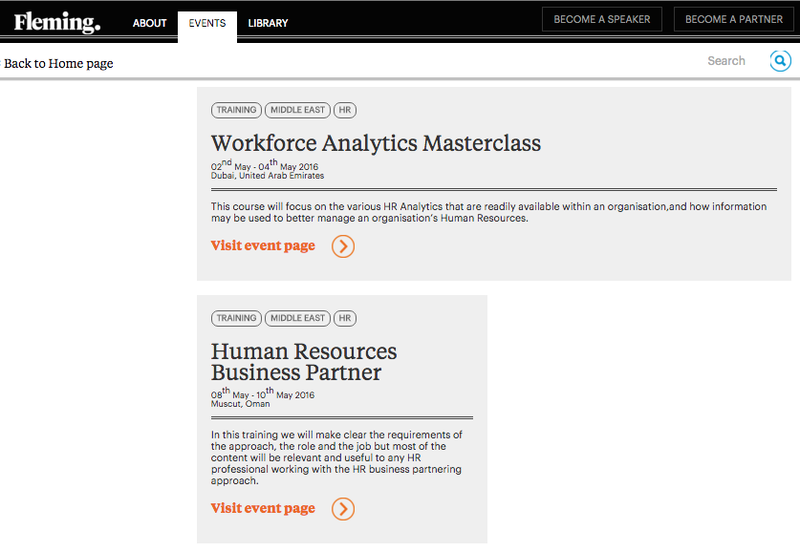 So I'm surprised that Salesforce aren't pitching at conferences like HR Tech World as part of a new Big Four (or perhaps along with IBM Kenexa and Watson Talent Insights as a Big Five). Bersin mentioned platforms in terms of technology based environments for development and delivery of apps etc. The even more important type of platforms is those systems enabling employees and employees, plus others providing knowledge and skills, to connect and focus their work more easily. A good example is PwC's Talent Exchange which has been in the news over the last few weeks. However there's also the opportunity to use these platforms internally to enable employees offering skill and others to connect with managers or others offering work. McKinsey have been writing about this. Their suggestion is that digital platforms can put the right person in the right job, identify gaps in skills, help employees as they gain new capabilities, chart career paths, and nurture the development of the next generation of leaders. "The impact of digital labor platforms and tools is significant and measurable: on average, according to our research, companies can realize an increase of 275 basis points in profit margins. Of course, not every organization will reap the same advantages. The extent of a company’s benefit will depend on the mix of people and skills it needs in its workforce and on its specific operating model. 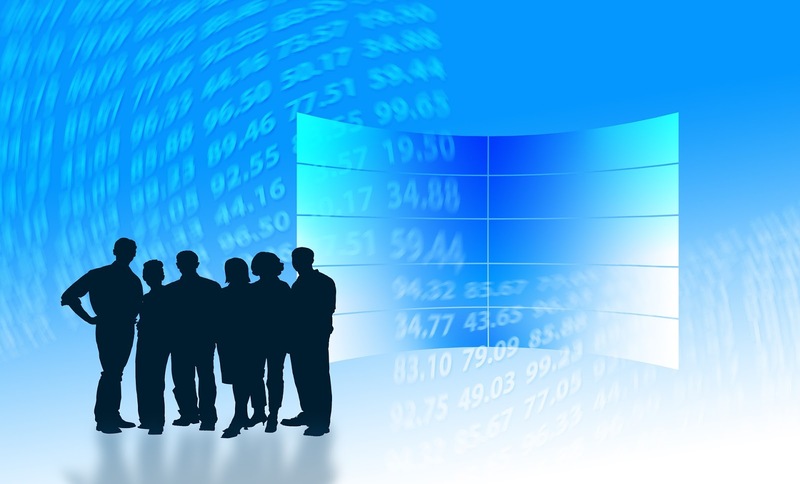 The biggest winners will have a large share of highly skilled workers and a frequently shifting mix of project teams. But even companies with mostly low-skilled workers will benefit, since digital platforms improve the assessment, deployment, and performance of candidates and reduce attrition and the need for costly recruiting. Some of the largest gains online labor platforms generate will accrue to professional-services firms. Because they have so many client-facing workers and so few back-office ones, the productivity gains will be reflected mostly in increased output, which we estimate can rise by up to 9 percent, while employee-related costs can fall by up to 7 percent... In global firms, where expertise is dispersed across offices and client work spans industries and functions, digital platforms can help catalog individual expertise at a detailed level. Team-formation tools also take knowledge, interpersonal traits, timing, and geography into account." These are both exciting, important changes for HR, however the biggest, highest impact and most difficult to implement changes come from within the HR arena itself. 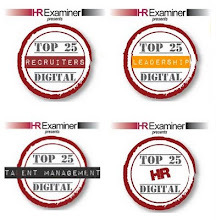 As Josh Bersin suggested at HR Tech World, "digital is a new way of working and behaving - not just tech." Deloitte's Human Capital Trends for 2016 is interesting reading again this year (marred slightly by a few proofing errors such as referring to a third of the workforce being contingent even though the report is supposedly global in scope and the statistic only relates to the US workforce) and have prompted these thoughts, centred around the top trend: organisation design. Firstly, I like the theme of the whole reports - different by design. As people and organisation become more important so does its deliberate design, rather than just letting things happen, as has often been the case in the past. But so does the need to create difference, rather than designing everything the same as other organisations. And for this reason we do need to be careful about reports such as this - we can pull out common themes and possibly identify a single main journey of travel, but we also need to recognise that every organisation is different and should / must therefore do different things. Secondly, I also like the increasing focus on experience, recognising the same shift in the importance of people, the creation of human capital, and therefore the positive management of the people who provide this. But it's important we do't go to far - titles matter little but if an evolution from Chief Talent Officer to Chief Experience Officer marks a real shift in responsibility it isn't a positive one. Experience isn't an end to itself. Talent is - in the sense it can create value and lead to better business results. Experience is only useful to the extent it informs improvement in talent, or directly in business results. Moving on to organisation design itself, the report points to the rise of networks of teams. And here I have a few more important criticisms of the thinking building on the research. 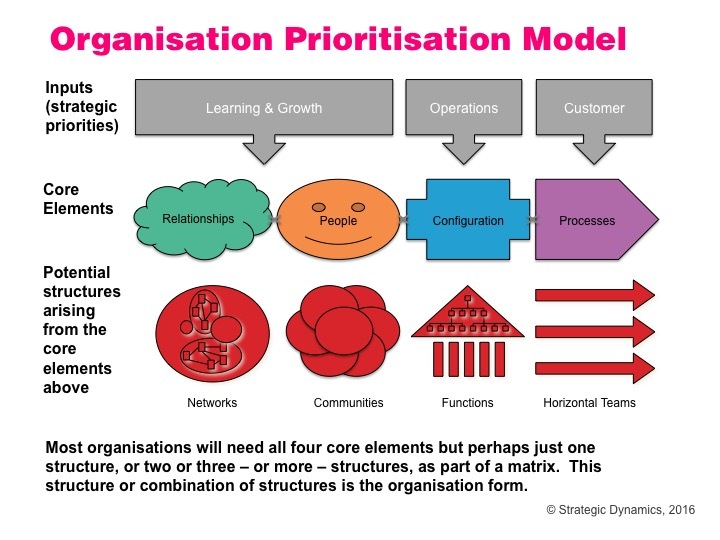 Firstly I'm not sure this type of organisation form is very new - to me it's just a continuation or maybe a partial resurrection of the well documented horizontal organisation form, with a newer focus on agile projects rather than end to end business processes. 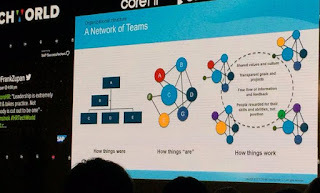 The nature of the work and organisation is similar, it's just that people will move from team to team more rapidly and possibly work on more than one team at the same time. This shift from waterfall to agile projects isn't a new organisation form, it's simply the introduction of new organisation principles (agile, decentralised, customer centred, empowered etc) and the consequent tailoring ('difference by design') around these principles. Ie whether people are told what to do or set goals at the bottom depends upon these principles, not the organisation form. So does the formality or informality of the structures in which ever form (functions or horizontal teams etc). 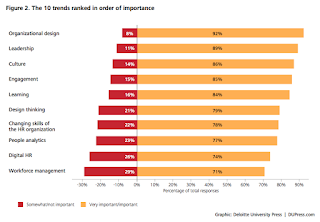 Also, despite Deloitte's findings (only 38% of companies are functionally organised) most organisations are still functional / divisional or a matrix based largely on functions and divisions with aspects of these other forms (and even if Deloitte believes matrices are unwieldly remnants of the 1960s they're clearly not). "Agile organizations, by contrast, deliberately choose which dimension of their organizational structure will be what we call their “primary” one. This choice will dictate where individual employees work—in other words, where they are likely to receive coaching and training and where the infrastructure around their jobs is located. Day-to-day work, performance measurement, and the determination of rewards, on the other hand, are more likely to happen in teams that cut across formal structures. The primary home of employees remains an anchor along their career paths, while the crosscutting teams form, dissolve, and reform as resources shift in response to market demands. Sometimes these dynamic teams show up in the org chart, typically in the form of business lines, market segments, or product units. At other times, they don’t, notably in a holacracy or other start-up organizational forms." The remaining prevalence of the matrix is why Deloitte find that most networks of teams are managed by expert team leaders not 'professional' / traditional managers. It's because there's a functional (or possibly community based) organisation in the background where professional managers are still managing the development and the careers of their people (as in a professional services firm). If this main matrix dimension wasn't there, project managers would take a more traditional set of responsibilities too. Also note that a lot of the criticism of functional models is criticism of poor functional organisation, not of the organisation form itself. Eg networks of teams apparently replace silos with co-ordination between teams. 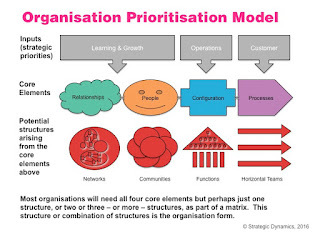 Well well designed functional organisations avoid siloisation through co-ordinating mechanisms too. And who ever said that leaders in a functional organisation could only operate out of corporate headquarters? As for functional organisations focusing on making a manager happy rather than being someone whom the team would want back on the team that's just poor performance management. It's interesting that Deloitte see the rise of digital technology as a key enabler for their networks of teams. Actually it was largely the rise of ERP type systems which led to the decline of process based horizontal organisations as businesses found that ERP functionality meant they didn't need to take on the complexity of horizontal working. It sounds as if digital is now making a further shift back to horizontal organisation (projects vs processes) more possible again. 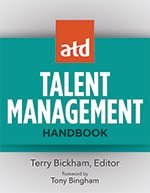 I've already posted on some of the other opportunities for innovation that I've addressed in the ATD's Talent Management Handbook. However probably the most important of these is team based, or social reward. 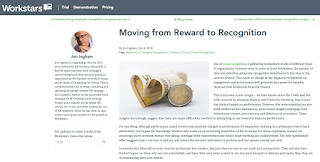 This is about transferring the focus of reward from individual employees to teams and reflecting on the necessary innovation to support this change in focus. One of the biggest changes underway in many organizations is a move away from hierarchies towards teams, supporting increasing needs for collaboration. Making this shift work requires team based pay. This is a difficult shift to make work and involves high risks for example it can increase competition between teams just as it reduces this within teams. Supporting this, research on cases where team based reward has been used, particularly where this has involved knowledge workers, tends not to be that favourable. However the results of team based reward will obviously depend upon how it is used and in many of the cases which have been reviewed team rewards had not been designed that smartly. The main problem seems to be that communication has been left too late. Garbers and Konradt’s recent meta analysis of 30 different studies of team rewards also suggests that team rewards work best for smaller teams and mixed gender teams. It also notes the importance of distributing rewards equitably rather than just equally between team members. The best suggestion I have heard to make team based reward work is to reward a team for the performance of the individuals and divide this reward between the individuals according to their contributions to the team. This ensures individuals focus on collaboration not competition within the team but also that they and the whole team are focused on helping increase the individual performance of each person, avoiding any tendency towards social loafing. An alternative is to combine team and individually based reward. For example Whole Foods Market provides an individual base pay but further rewards are linked to team performance. To help make this work, employees have some say about the people working in their team. Anyway just because it is difficult should not be enough of an argument to mean that we should not try to do it. Also the major challenges probably lie out of the reward area itself, for example in developing effective team based performance management which will be a requirement for team based pay to work, and also efective team building. I'm training on HR business partnering in Asia next month - in Singapore on 18-19 April, KL 21-22 April and Hong Kong 25-26 April. 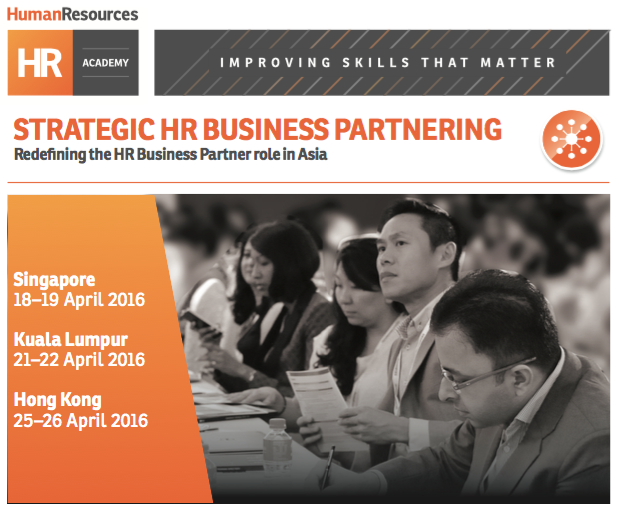 The sessions are being organised by Human Resources Online's new HR Academy. If you're in the region and you get a chance to, do come and spend a couple of days with me. It's an important area and I've got some great suggestions to share. 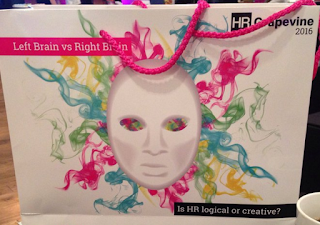 I'm at HR Grapevine's annual HR and talent management conference. This year it's focused on the role HR plays in combining left and right brain thinking to create balance in the force, sorry talent pool, ensuring creativity and an entrepreneurial spirit are grounded with analysis, logic and planning. We've had two sessions this morning - one on culture, purpose, values etc which was headed up by Paul Lambert from Korn Ferry Hay and Lynne Weedall from Selfridges and also featured Stephen Lochhead from Unilever, Pauline Prow from Monarch, Liz Burton from GSK and Heather Melville from RBS. Then there was a session on the digital revolution and the use of the data this produces. This was led by Eddie Short from AON together with Tony Strudwick from Manchester United, supported by Tess Smillie from Samsung, David Connell from Peugeot Citroen, Darren Philpott from Barclays and Ann Pickering from O2. It's been a great morning and I particularly liked the way that both sessions - the one on the more right brained concept of culture and the other on the more left brained requirements for measurement - actually combined the need to both science and artistry. And I liked that suggestion in the second session that there are two types of decision making - the human type demonstrated by Alex Ferguson at MUFC - the last of the great intuitive coaches, and the analytical type where the goal is to quantify human capital and the way business performance is provided through people. Speakers suggested the analytical approach is important because currently we don't apply same rigour to HR as other areas of our business and we need to place HR on a par with Finance or Marketing. It was suggested that one way of doing this is building a data warehouse to get a global view of information - absence levels, accident data, talent trends etc. The belief was that data mining will help us talk about our strategy - how we can predict where next levels of stress will be, and spot peak absences and test hypo or performance processes etc. Actually I should have said hope rather than belief. 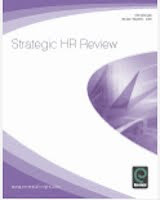 I'm personally very suspect that data mining will ever provide a useful insight on strategy as the human information which is the most useful in developing HR strategy tends not to lend itself to being included in a data warehouse. As one of the other speakers noted there's a good reason we've been slow to measure the link from HR to business impacts which is that we're dealing with human beings which once again are more difficult to measure. However I agree with the same speaker that this can't mean that we don't measure what we can. It's just that we have to be more open to qualitative and subjective forms of evidence than those that other areas of our businesses tend to use. I loved the suggestions that we mustn't give up on using gut feel and that we have the right to use judgment along with data. It's why I suggest we don't need data scientists in HR as much as we need wisdom artists. There's a problem with this of course in that our business colleagues tend to expect that we'll start producing more quantified, reliable data for everything that moves. Well either we can pretend that everything can be monetised and forced into a ROI calculation. We'll probably get lots of kudos for doing this but won't ultimately have much impact on our organisations as we'll be over-simplifying things which are enormously complex and that will lead to poor decision making too. Or we can be honest about the complexity and ambiguity of HR data, be criticised for being too pink and fluffy, but have bigger impacts on the performance of our businesses. I know which choice I would make if I was still an HRD. It's about resisting the Finance department's Kool-Aid, pushing back against Ram Charan's offer of a trip to Mars and being comfortable with our Venutian future (see my post on Finance is from Mars, HR is from Venus). It's why I worry when I hear, as some speakers said, that we should make sure our programmes are business initiatives not HR initiatives, and that our analytics are business analytics not HR analytics. I think this type of talk undersells, undervalues and distorts the work we do in HR. And that we'll never really have the impact we want to until we, and then our business colleagues, understand that people and therefore HR are different to other areas of a business. And why I wish there hadn't been quite as loud a round of applause supporting a challenge that HR isn't pink and fluffy. Well people may not be fluffy but they are squishy. And you can tell from my branding that I've got no issues with pink! Actually I was interested to see a tweet from David Macleod at Engage for Success this morning suggesting "We have lost our humanity in business, we need to put it back." Well maybe being a big more pink and fluffy would be a step in the right direction? It was a provocative conference and I've been provoked to post a little bit further than I'd intended. But I'd like to think you might still agree with me. 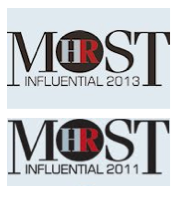 If you're an HR scientist I doubt that you will. If you're an HR artist I'm more hopeful you might. The good news is that most of you are artists at heart - or at least the majority of attendees at the HR Grapevine conference suggested they thought HR is more of an artist than a scientist. Thanks to HR Grapevine for raising the debate. We do need both art and science, logic and creativity, but the focus in HR has been on logic and science too long (eg the CIPD's HR framework). Restoring the balance is about putting more art back into our roles - and into business too.